A hop and a skip over to Cookham in Berkshire for a slap up lunch at The White Oak – so close to the Buckinghamshire border that I’m going to claim it as bounty. Yeah go on then Rachel at Muddy Berks – if you think you’re tough enough, let’s scrap for it! Cookham is a super pretty village that I’ve oohed and ahhed over for years, with a lovely river meandering through it and a central high street that looks like the dust settled in the 19th century and hasn’t been swiped since. 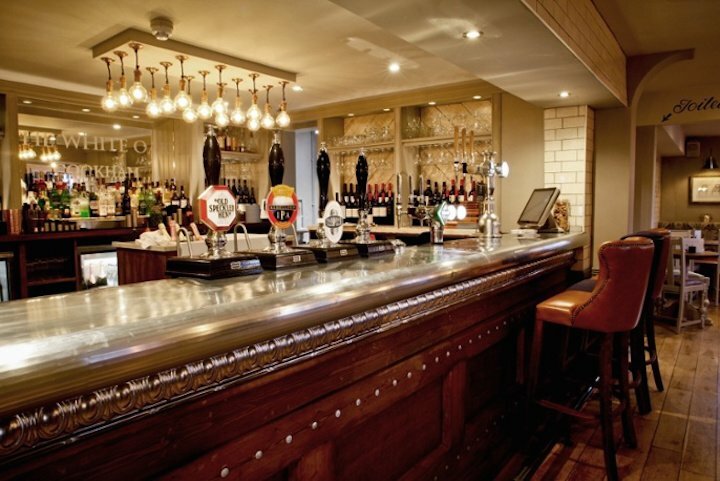 A mere four miles from Marlow over the Bucks’ border, with Maidenhead 3.5 miles on the other side, it’s the kind of place that has ‘treat your mum’ written all over it and, frankly my dear, The White Oak is just the place to take her. In the daytime, when I visited, the attractively white-washed The White Oak has a genteel, restauranty air though I dare say if I’d been walking the dog (er yes, my virtual dog) I would have still felt comfortable to come in and order a coke and fish n chips or burger at the bar (£9.50). 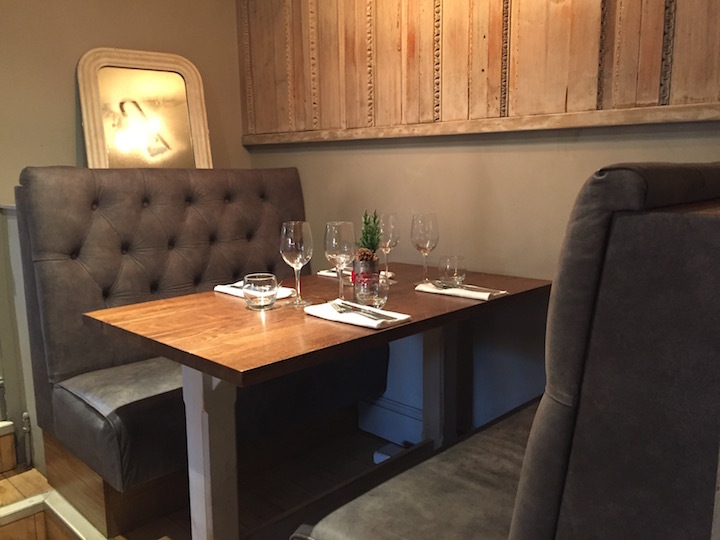 In years gone by The White Oak was a bit on the starchy side by all accounts, but Henry Cripps and wife Katherine (they also own The Three Oaks in Gerrards Cross and No5 in Beaconsfield) have pulled the stuffiness out of it with the help of a 2016 warm redesign that gives us the ‘zones’ that eateries now seem to require – warm fireside sofas to the left, drop in eating to the right, walk through to large central eating area at the rear and onto the courtyard. 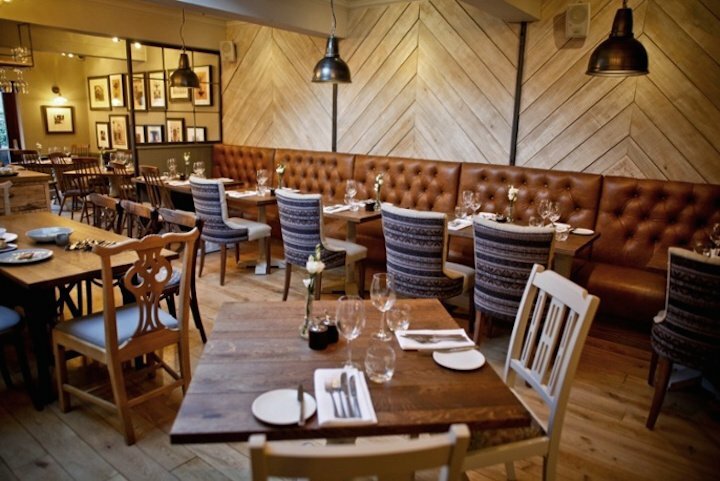 Decor is predictable, tasteful and attractive – wooden floorboards, slouchy sofas, leather banquettes, upholstered seats, statement bar with white butcher’s tiles, industrial downlighters with the accent on muted tones and stripped back oak. 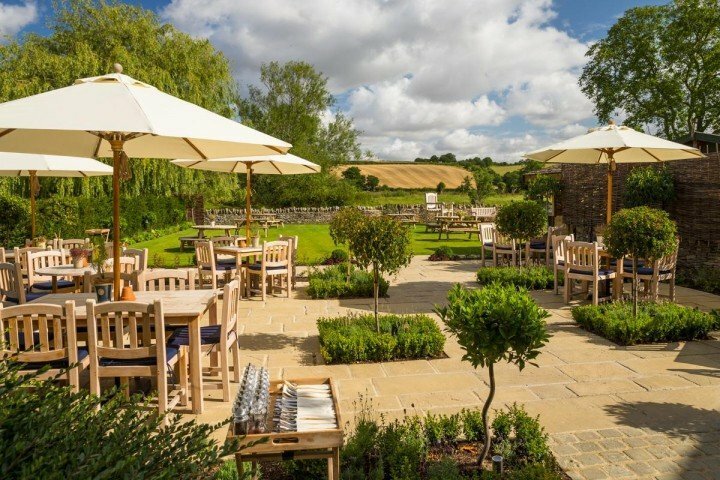 The service is definitely a plus here, warm, friendly and encouraged by the charismatic presence of Jolly Galliano Hale who you may recognise from his days front of house at The Quince Tree in Stonor. 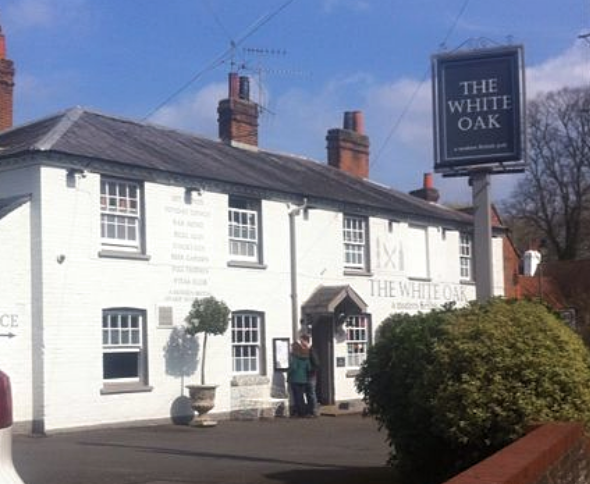 The White Oak opened at the end of 2008 but it took a couple of years to snaffle its first Michelin Bib Gourmand. Once the team had a taste for that award, they refused to let it go – The White Oak has retained this marker of excellent ever since. The food is definitely the star of this show, no doubt about that. 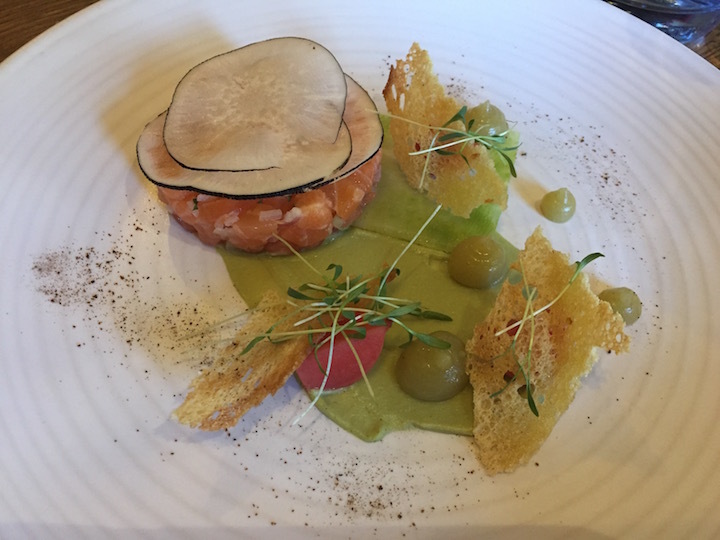 Rather than a simple gravadlax, they offered smoked salmon tartare with apple, avocado, pickled radish, daikon and sourdough, below. I showed a distinct lack of imagination with my mains choice, honkingly delicious though it was (though go on, plop on a few more chips!) with my 80z rump steak when I could have pushed the boat out with Bouillabaisse, or roasted cod with sweetcorn and king oyster mushrooms. 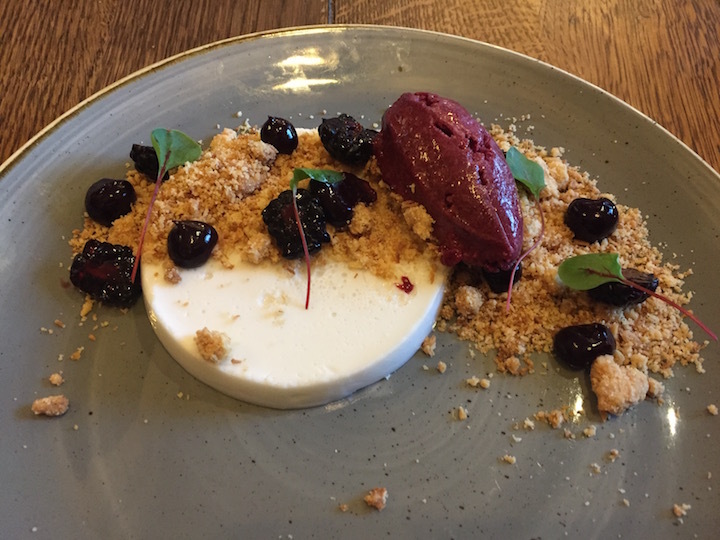 But I feel I hit my creative stride with dessert, a coconut and lavender pannacotta with blackberries and sorbet, below. Definitely. Though the menu nails it for a sophisticated diner, there’s plenty that stays over the pubby side of too with a bar menu, and a dedicated kids menu. There’s plenty of space inside and the courtyard should the merde hit le ventilateur and your little darling has a meltdown. You’re seconds from a large open green if they’re old enough to throw a ball about for half an hour after dessert while you surpass your body weight in cheese and dessert wine. You can easily spend a day in Cookham if you take it nice and easy. 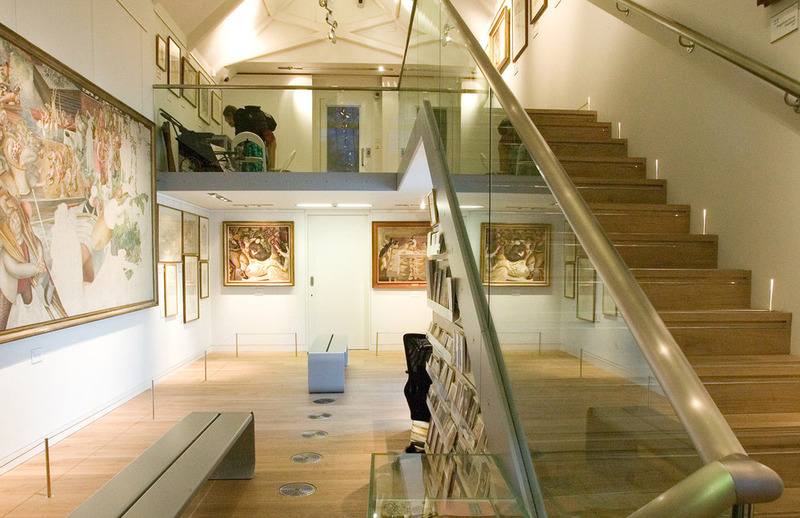 Highlights include the small but perfectly formed Stanley Spencer Gallery, celebrating the work of the Cookham resident and lauded 20th century artist. 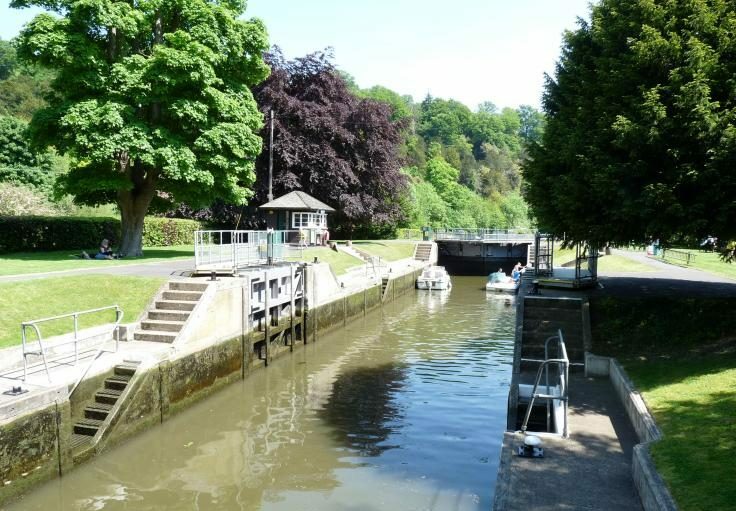 It’ll take you an hour to meander up and down the high street and then work up your appetite on a walk down the river to the lock. If you’re really into your interior design, there’s a little known John Lewis Heritage Centre that stores original fabric designs and the history of the store. More interesting than it sounds – I spent a good hour looking at 19th century swatches! Good for: Girly lunches and dinners, large family get-togethers, bar-snackers, sneak-one-in cocktail drinkers, private diners. Doggy drop ins – clean, well behaved dogs are welcome in the bar. 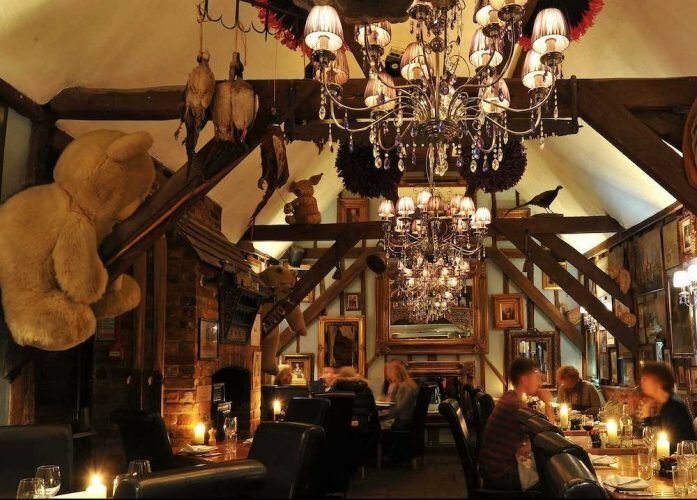 Not for: Anyone looking for gargantuan plates of pub grub – the dishes are refined, and sized so you can comfortably enjoy three courses. Those who like lots of outside space – the courtyard seating area is on the snug side. 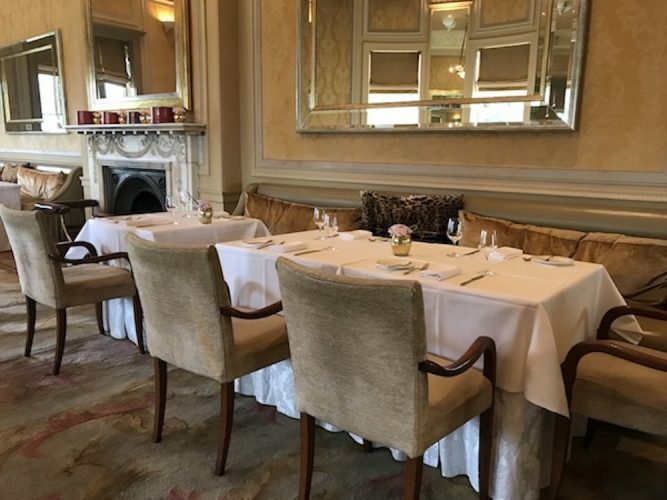 The damage: The Set meals are great value is fantastic value – for lunch it’s £13 for 2 courses and £16 for 3 courses, and the Set Dinner is £16 for 2 courses and £19 for 3 courses. 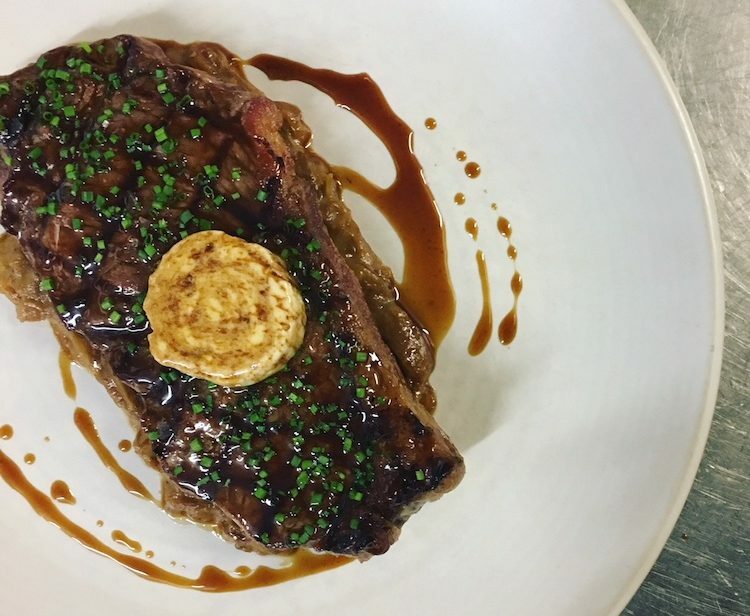 There’s – one for the carnivores – also a Steak Club every Monday where all dry-aged highland beef steaks are 33% off. If you’re looking for Sunday lunches budget for £15-17 for your beef or pork.